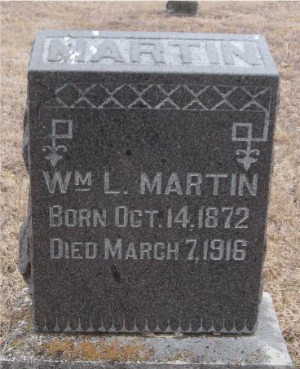 Sheriff William Martin died from the effects of blood poisoning, which he contracted after cutting his hand while cleaning out the county jail's cesspool on February 16th, 1916. He was taken to a hospital in Pittsburg, Kansas, for treatment but was unable to recover. 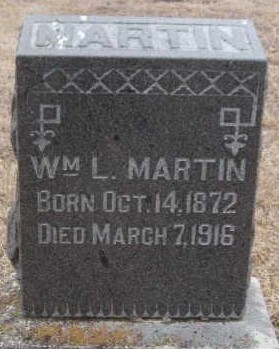 He died in the hospital on March 7th, 1916. Sheriff Martin had served as sheriff for three years. He was survived by his wife. A disgusting job, but it was part of your duties and you did it. How tragic that it cost you your life and your wife her husband. You are truly a hero for your efforts to keep McDonald County safe. God Bless you Brother, and may your eternal rest be ever peaceful.